This article is about the general social theory. For business influence in politics, see Corporatocracy. For the process of reorganizing institutions on a corporate or business basis, see Corporatization. For Corporatism in animals, see Sociality § Corporatism. Corporatism is a political ideology which advocates the organization of society by corporate groups, such as agricultural, labour, military, scientific, or guild associations on the basis of their common interests. The idea is that when each group performs its designated function, society will function harmoniously — like a human body (corpus) from which its name derives. Corporatist ideas have been expressed since Ancient Greek and Roman societies, with integration into Catholic social teaching and Christian democracy political parties. They have been paired by various advocates and implemented in various societies with a wide variety of political systems, including authoritarianism, absolutism, fascism, liberalism and socialism. Kinship-based corporatism emphasizing clan, ethnic and family identification has been a common phenomenon in Africa, Asia and Latin America. Confucian societies based upon families and clans in East Asia and Southeast Asia have been considered types of corporatism. China has strong elements of clan corporatism in its society involving legal norms concerning family relations. Islamic societies often feature strong clans which form the basis for a community-based corporatist society. Family businesses are common worldwide in capitalist societies. In the Middle Ages, the Catholic Church sponsored the creation of various institutions including brotherhoods, monasteries, religious orders and military associations, especially during the Crusades, to sponsor association between these groups. In Italy, various function-based groups and institutions were created, including universities, guilds for artisans and craftspeople and other professional associations. The creation of the guild system is a particularly important aspect of the history of corporatism because it involved the allocation of power to regulate trade and prices to guilds, which is an important aspect of corporatist economic models of economic management and class collaboration. In 1881, Pope Leo XIII commissioned theologians and social thinkers to study corporatism and provide a definition for it. In 1884 in Freiburg, the commission declared that corporatism was a "system of social organization that has at its base the grouping of men according to the community of their natural interests and social functions, and as true and proper organs of the state they direct and coordinate labor and capital in matters of common interest". Corporatism is related to the sociological concept of structural functionalism. Corporatism's popularity increased in the late 19th century and a corporatist internationale was formed in 1890, followed by the publishing of Rerum novarum by the Catholic Church that for the first time declared the Church's blessing to trade unions and recommended for organized labour to be recognized by politicians. Many corporatist unions in Europe were endorsed by the Catholic Church to challenge the anarchist, Marxist and other radical unions, with the corporatist unions being fairly conservative in comparison to their radical rivals. Some Catholic corporatist states include Austria under the leadership of Federal Chancellor Engelbert Dollfuss and Ecuador under the leadership of Garcia Moreno. The economic vision outlined in Rerum novarum and Quadragesimo anno also influenced the regime of Juan Perón and Justicialism. In response to the Roman Catholic corporatism of the 1890s, Protestant corporatism was developed, especially in Germany, the Netherlands and Scandinavia. However, Protestant corporatism has been much less successful in obtaining assistance from governments than its Roman Catholic counterpart. 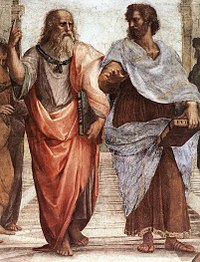 In Politics, Aristotle also described society as being divided along natural classes and functional purposes that were priests, rulers, slaves and warriors. Ancient Rome adopted Greek concepts of corporatism into their own version of corporatism but also added the concept of political representation on the basis of function that divided representatives into military, professional and religious groups and created institutions for each group known as colegios (Latin: collegia). See collegium (ancient Rome). From the 1850s onward, progressive corporatism developed in response to classical liberalism and Marxism. These corporatists supported providing group rights to members of the middle classes and working classes in order to secure cooperation among the classes. This was in opposition to the Marxist conception of class conflict. 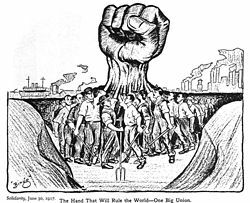 By the 1870s and 1880s, corporatism experienced a revival in Europe with the creation of workers' unions that were committed to negotiations with employers. 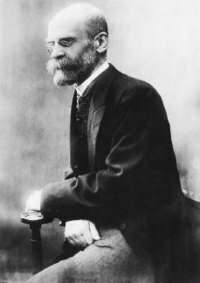 In his work Gemeinschaft und Gesellschaft ("Community and Society") of 1887, Ferdinand Tönnies began a major revival of corporatist philosophy associated with the development of neo-medievalism and increased promotion of guild socialism and causing major changes of theoretical sociology. Tönnies claims that organic communities based upon clans, communes, families and professional groups are disrupted by the mechanical society of economic classes imposed by capitalism. The National Socialists used Tönnies' theory to promote their notion of Volksgemeinschaft ("people's community"). However, Tönnies opposed Nazism and joined the Social Democratic Party of Germany in 1932 to oppose fascism in Germany and was deprived of his honorary professorship by Adolf Hitler in 1933. 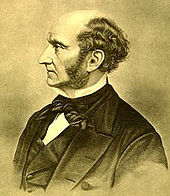 The idea of liberal corporatism has also been attributed to English liberal philosopher John Stuart Mill who discussed corporatist-like economic associations as needing to "predominate" in society to create equality for labourers and give them influence with management by economic democracy. Unlike some other types of corporatism, liberal corporatism does not reject capitalism or individualism, but believes that the capitalist companies are social institutions that should require their managers to do more than maximize net income by recognizing the needs of their employees. Fascism's theory of economic corporatism involved management of sectors of the economy by government or privately-controlled organizations (corporations). Each trade union or employer corporation would theoretically represent its professional concerns, especially by negotiation of labour contracts and the like. It was theorized that this method could result in harmony amongst social classes. However, authors have noted that historically de facto economic corporatism was also used to reduce opposition and reward political loyalty. In Italy from 1922 until 1943, corporatism became influential amongst Italian nationalists led by Benito Mussolini. The Charter of Carnaro gained much popularity as the prototype of a "corporative state", having displayed much within its tenets as a guild system combining the concepts of autonomy and authority in a special synthesis. Alfredo Rocco spoke of a corporative state and declared corporatist ideology in detail. Rocco would later become a member of the Italian fascist regime. This prospect of Italian fascist corporatism claimed to be the direct heir of Georges Sorel's revolutionary syndicalism, such that each interest was to form as its own entity with separate organizing parameters according to their own standards, but only within the corporative model of Italian fascism each was supposed to be incorporated through the auspices and organizing ability of a statist construct. This was by their reasoning the only possible way to achieve such a function, i.e. when resolved in the capability of an indissoluble state. Much of the corporatist influence upon Italian Fascism was partly due to the Fascists' attempts to gain endorsement by the Roman Catholic Church that itself sponsored corporatism. However, fascism's corporatism was a top-down model of state control over the economy while the Roman Catholic Church's corporatism favoured a bottom-up corporatism, whereby groups such as families and professional groups would voluntarily work together. The fascist state corporatism (of Roman Catholic Italy) influenced the governments and economies of a not only other Roman Catholic-majority countries, such as the governments of Engelbert Dollfuss in Austria and António de Oliveira Salazar in Portugal, but also Konstantin Päts and Kārlis Ulmanis in non-Catholic Estonia and Latvia. Fascists in non-Catholic countries also supported Italian Fascist corporatism, including Oswald Mosley of the British Union of Fascists, who commended corporatism and said that "it means a nation organized as the human body, with each organ performing its individual function but working in harmony with the whole". Mosley also considered corporatism as an attack on laissez-faire economics and "international finance". The corporatist state Salazar established in Portugal was not associated with Mussolini, Portugal during Salazar's reign was considered Catholic corporatism. Portugal remained neutral throughout World War II. Salazar also had a strong dislike of Marxism and liberalism. During the post-World War II reconstruction period in Europe, corporatism was favoured by Christian democrats (often under the influence of Catholic social teaching), national conservatives and social democrats in opposition to liberal capitalism. This type of corporatism became unfashionable but revived again in the 1960s and 1970s as "neo-corporatism" in response to the new economic threat of recession-inflation. Neo-corporatism favoured economic tripartism, which involved strong labour unions, employers' associations and governments that cooperated as "social partners" to negotiate and manage a national economy. Social corporatist systems instituted in Europe after World War II include the ordoliberal system of the social market economy in Germany, the social partnership in Ireland, the polder model in the Netherlands (although arguably the polder model already was present at the end of World War I, it was not until after World War II that a social service system gained foothold there), the concertation system in Italy, the Rhine model in Switzerland and the Benelux countries and the Nordic model in Scandinavia. Attempts in the United States to create neo-corporatist capital-labor arrangements were unsuccessfully advocated by Gary Hart and Michael Dukakis in the 1980s. As secretary of labor during the Clinton administration, Robert Reich promoted neo-corporatist reforms. Illarionov described the present situation in Russia as a new socio-political order, "distinct from any seen in our country before". In this model, members of the Corporation of Intelligence Service Collaborators (KSSS) took over the entire body of state power, follow an omerta-like behavior code and "are given instruments conferring power over others – membership "perks", such as the right to carry and use weapons". According to Illarionov, the "Corporation has seized key government agencies – the Tax Service, Ministry of Defense, Ministry of Foreign Affairs, Parliament, and the government-controlled mass media – which are now used to advance the interests of KSSS members. Through these agencies, every significant resource of the country – security/intelligence, political, economic, informational and financial – is being monopolized in the hands of Corporation members". Analyst Andrei Piontkovsky also considers the present situation as "the highest and culminating stage of bandit capitalism in Russia". He believes that "Russia is not corrupt. Corruption is what happens in all countries when businessmen offer officials large bribes for favors. Today’s Russia is unique. The businessmen, the politicians, and the bureaucrats are the same people". ^ . Wiarda, Howard J (1996). Corporatism and Comparative Politics: The Other Great Ism. 0765633671: M.E. Sharpe. pp. 22–23. ISBN 978-0765633675. ^ "China，Corporatism，and the East Asian Model". By Jonathan Unger and Anita Chan, 1994. ^ Bruce Gilley (2011) "Paradigms of Chinese Politics: Kicking Society Back Out", Journal of Contemporary China 20(70). ^ Jennifer Hsu and Reza Hasmath (2014) “The Local Corporatist State and NGO Relations in China”, Journal of Contemporary China 23(87). ^ Jennifer Hsu and Reza Hasmath (2013) The Chinese Corporatist State: Adaptation, Survival and Resistance. New York: Routledge. ^ Reza Hasmath and Jennifer Hsu (2009) China in an Era of Transition: Understanding Contemporary State and Society Actors. Basingstoke: Palgrave Macmillan. ^ Hsu, Jennifer YJ; Hasmath, Reza (2014). "The Local Corporatist State and NGO Relations in China". Journal of Contemporary China. 23 (87): 516–517. doi:10.1080/10670564.2013.843929. ^ Hsu, Jennifer YJ; Hasmath, Reza (2014). "The Local Corporatist State and NGO Relations in China". Journal of Contemporary China. 23 (87): 517. ^ "Q&A: Putin's Critical Adviser". By Yuri Zarakhovich. December 31, 2005. Time magazine. ^ a b The Chekist Takeover of the Russian State, Anderson, Julie (2006), International Journal of Intelligence and Counter-Intelligence, 19:2, 237 - 288. The 1928 autobiography of Benito Mussolini. Online. My Autobiography. Book by Benito Mussolini; Charles Scribner's Sons, 1928. ISBN 978-0-486-44777-3. Professor Thayer Watkins, The economic system of corporatism, San Jose State University, Department of Economics. Chip Berlet, "Mussolini on the Corporate State", 2005, Political Research Associates. "Economic Fascism" by Thomas J. DiLorenzo, The Freeman, Vol. 44, No. 6, June 1994, Foundation for Economic Education; Irvington-on-Hudson, New York. This page was last edited on 22 April 2019, at 20:38 (UTC).